We, the Sisters of Charity of New York, are deeply concerned about the situation of young persons affected by the suspension of DACA protections. DACA was a common-sense path to stability for families, communities, and local economies, and a reaffirmation of American values. Ending DACA will cause irreparable harm to our families and communities and force 800,000 of our young people back into the shadows. We all personally know many of these Dreamers who were brought to the U.S. as young children by their parents. This is an issue of justice, and the gospel demands we speak out. Let us join our voices to organizations such as the Leadership Conference of Women Religious, the United States Conference of Catholic Bishops, and Network Lobby, which are urging Congress to act on the behalf of Dreamers by passing the bipartisan Dream Act of 2017. Please act promptly in calling our representatives and considering the suggestions below. Below are opportunities to educate ourselves and to address the urgent issue of racism. Please make three important calls TODAY! Call your Representative (1-888-496-3502) and call each of your Senators (1-888-410-0619). Call twice to be connected to both Senators. As a person of faith, I stand with the U.S. Catholic Bishops and write to express my strong support for the “Dream Act of 2017” (S. 1615). The young people protected by this bill are contributors to our economy, veterans of our military, academic standouts in our universities, and leaders in our parishes and communities. As Catholics, we have long supported DREAMers as we believe in protecting the dignity of every human being, especially that of our children. Among those protected by this bill are Deferred Action for Childhood Arrivals (DACA) recipients, a program that has benefited over 780,000 young people. DACA has ensured that recipients are able to live their lives free of the anxiety that they could be deported at any time to a country they do not know and separated from their families. We believe immigrant youth deserve continued protection and a path to citizenship. Continue to work towards larger legislative reform of our immigration laws. The faith community stands with you in support of the DREAM Act of 2017, S. 1615, and vows to work with you to reform our immigration system in a humane and common-sense manner. As a person of faith, I stand with the U.S. Catholic Bishops and write to express my strong support for the “Dream Act of 2017” (H.R. 3440). The young people protected by this bill are contributors to our economy, veterans of our military, academic standouts in our universities, and leaders in our parishes and communities. As Catholics, we have long supported DREAMers as we believe in protecting the dignity of every human being, especially that of our children. Among those protected by this bill are Deferred Action for Childhood Arrivals (DACA) recipients, a program that has benefited over 780,000 young people. DACA has ensured that recipients are able to live their lives free of the anxiety that they could be deported at any time to a country they do not know and separated from their families. We believe immigrant youth deserve continued protection and a path to citizenship. The faith community stands with you in support of the DREAM Act of 2017, H.R. 3440, and vows to work with you to reform our immigration system in a humane and common-sense manner. Wednesday, October 18, 2017, 4:00 PM: Race in America: A Panel and Discussion (Benedict’s), Faculty panel with Dr. David Aliano, Dr. Al D’Anca, Sr. Andrea Dixon, Dr. Charles Flynn, Br. Christian Seno, and Dr. Jackie Zubeck, A discussion will follow. They are illegal-period. I am 1st generation and my parents had to wait for years to come to this country because of the quota system that was in place at the time. But they did!!!! They obeyed the law and didn’t sneak in. Plus, they also had to have someone sponsor them and they had to have a job lined up. My parents were productive as soon as they landed here. Never asked the government for anything for themselves or the large family they raised. All of which were productive citizens also. I agree wholeheartedly with the stand of the Sisters of Charity of New York on this issue and I am urging each of my senators and my representative to co-sponsor, S. 1615 and H.R. 3440, respectively. This is a great statement in support of Dreamers and DACA! Let’s all work together to pass a DREAM Act and then transform the entire immigration system! Families and communities should not be divided by deportation. Often, destructive US economic and military policies lead to millions of people being forced to migrate in order to look for a better life or simply to survive. We must address these roots of forced migration as well. 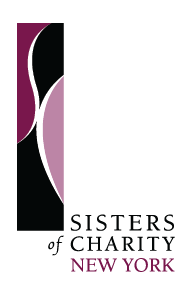 Thank you for the Sisters of Charity Statement “We Stand in Support of Dreamers.” My gratitude for the Sisters of Charity, Associates, Companions and Colleagues, especially the SCNY Immigration Task Force, who advocate for just comprehensive immigration reform law and humane policies and practices. Immigration Task Force members are aware of the complexities of immigration issues. We hear the stories of DACA recipients and their families, of people facing deportation, of people in detention. We believe if more of us got to know our immigrant brothers and sisters, we would find a way forward. As SCNY Director of the Peace, Justice, and Integrity of Creation Office, I urge all of us to visit Justice for Immigrants website for accurate information and ways to advocate. At a rally in support of justice and safety for our communities yesterday, the questions of several people passing by reinforced for me that people are not aware of immigrants’ issues, facts, and experiences. As a faithful citizen and follower of Jesus, I know I have a responsibility to seek the truth, advocate for just laws, policies and practices and integrate Catholic Social teaching into my personal and civic life. I am grateful for the Sisters of Charity and the many people we collaborate with, many of whom are immigrants, who call me to living an authentic spiritual life. And so the wonderful Sisters are again living the word and doing what is right and just. Thank you for supporting immigrants and opposing the repeal of DACA. Tearing apart families is not the American way, and certainly not the Christian way. I wholeheartedly support all your social justice works. And applaud your tireless efforts. Jesus and his family were immigrants in the land of Egypt, so as Christians (followers of Christ), we support all immigrants (legal and illegal). You are doing the work of God. Thank you! Keep up the good work and prayers. My hope is that this is just the right time for congress to act and provide a secure road to citizenship for these young American hopefuls. I certainly support your work,Sisters,and all who are working along side of you! How quickly people forget that we are a nation of immigrants. Christians who oppose DACA and the Affordable Care Act and support white supremacy leave me wondering exactly where their Christianity comes into play in their lives. How is it that they can ignore the gospels so freely when Jesus was crystal clear about the care of the poor, the sick, and welcoming the stranger? Christianity is not akin to your ethnicity or nationality. You don’t just call yourself Christian because you were born into the faith. It’s not just about celebrating Christmas, Easter, or making sacraments. It is a way of life, it is a choice to be Christ-like, to be Christ to others. And I’m pretty sure Jesus Himself said it was not going to be easy to follow Him. Please help me understand how saying “They are illegal, period,” is Christ-like. And, by the way, legal immigration from Mexico is practically impossible. We wish to express our sincere thank you to the Sisters of Charity for their courageous statement “We Stand in Support of Dreamers.” May God bless you and all those fighting this good fight. Thank you dear Sisters for carrying on the work of St. Vincent de Paul and Mother Seton. They heard the call of Jesus to welcome and aid those who are suffering and you, daughters of both, have followed their example. It is good to remember that Jesus was a refugee, that the Holy Family had to flee into Egypt. These young men and women who have fled from their native homes and have taken refuge here have brought hope and have contributed to our society. Thank you again. Blessed are those who seek righteousness. . .You are indeed blessed!